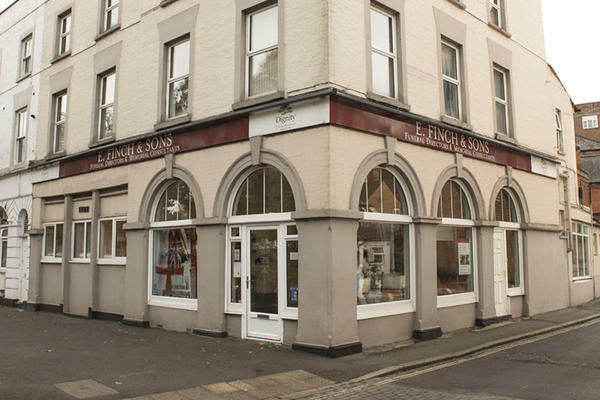 At E Finch & Sons Funeral Directors in Aldershot, we assist local families when they need us most by offering our care and support. If you have recently experienced loss, it would be our honour to provide a dignified farewell for your loved one. Established in 1857, we are renowned for being the first funeral directors in Aldershot. Our years of serving the town’s families, along with those from the surrounding areas in Hampshire and Surrey, means we have the expertise to tailor a bespoke funeral that meets the needs and wishes of you and your family. We can cater for all faiths and cultural requirements, as well as arrange humanist funerals. We are also pleased to offer alternative funerals, such as woodland burials, along with the more traditional send offs. Our funeral home has disabled access and can be found on the High Street in Aldershot. We serve all areas of the town and are also easily accessible to communities from neighbouring localities such as Ash, Badshot Lea, Farnham and Hale. We are here to listen 24 hours a day, so get in touch and find out more about our caring funeral services. Call us today on 01252 322281 to talk through your personal requirements. At E Finch & Sons Funeral Directors, we understand how special life is with those that you love. For us, every funeral is unique and personal. We have a service to fulfil every wish, with every detail carried out with the same uncompromising quality of care. From a traditional service, to a colourful woodland burial, your options are limitless with our Full Service Funeral. If you have a little more flexibility when it comes to arrangements, then we can provide a Simple Funeral for a lower cost. There is car parking available at the branch or in a multi-storey car park near by. We are on the High Street, across the road and just down from Burger King. Our staff are available 24 hours a day on 01252 322281 if you require our services outside of these hours.